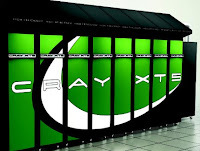 Cray has never made a big deal about the custom Linux operating system it packages with its XT supercomputing line. In general, companies don't like to tout proprietary OS environments since they tend to lock custom codes in and third-party ISV applications out. But the third generation Cray Linux Environment (CLE3) that the company announced is designed to make elite supercomputing an ISV-friendly experience. Besides adding compatibility to off-the-shelf ISV codes, which we'll get to in a moment, the newly-minted Cray OS contains a number of other enhancements. In the performance realm, CLE3 increases overall scalability to greater than 500,000 cores (up from 200,000 in CLE2), adds Lustre 1.8 support, and includes some advanced scheduler features. Cray also added a feature called "core specialization," which allows the user to pin a single core on the node to the OS and devote the remainder to application code. According to Cray, on some types of codes, this can bump performance 10 to 20 percent. CLE3 also brings with it some additional reliability features, including NodeKARE, a diagnostic capability that makes sure jobs are running on healthy nodes. But the biggest new feature added to CLE3 is compatibility with standard HPC codes from independent software vendors (ISVs). 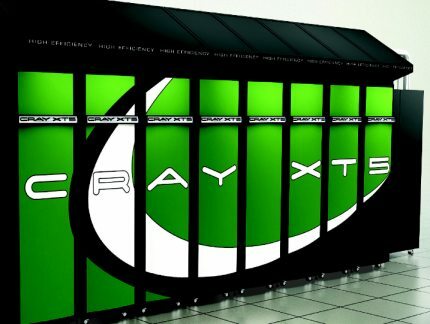 This new capability has the potential to open up a much broader market for Cray's flagship XT product line, and further blur the line between proprietary supercomputers and traditional HPC clusters. Cray has had an on-again off-again relationship with HPC software vendors. Many of the established ISVs in this space grew up alongside Cray Research, and software from companies like CEI, LSTC, SIMULIA, and CD-adapco actually ran on the original Cray Research machines. Over time, these vendors migrated to standard x86 Linux and Windows systems, which became their prime platforms, and dropped products that required customized solutions for supercomputers. Cray left most of the commercial ISVs behind as it focused on high-end HPC and custom applications. 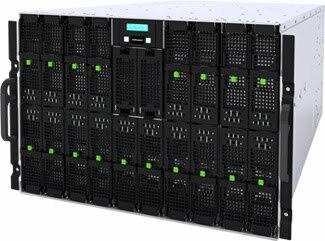 The Cray CX1000 series is a dense, power efficient and supremely powerful rack-mounted supercomputer featuring best-of-class technologies that can be mixed-and-matched in a single rack creating a customized hybrid computing platform to meet a variety of scientific workloads. High(brid) Performance Computing – The Cray CX1000 redefines HPC by delivering hybrid capabilities through a choice of chassis, each delivering one of the most important architectures of the next decade. The compute-based Cray CX1000-C chassis includes 18 dual-socket Intel Xeon 5600 blades with an integrated 36-port QDR InfiniBand switch and a 24-port Gigabit Ethernet switch – all in 7U. With support for Windows® HPC Server 2008 or Red Hat Linux via the Cray Cluster Manager, the Cray CX1000-C system provides outstanding support for ISV applications as well as dual-boot capability for ultimate application flexibility. 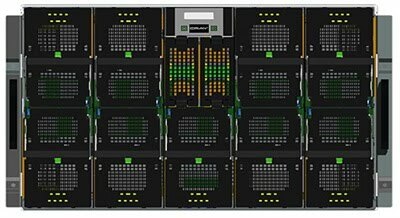 The Cray CX1000-C system maintains Cray's "Ease of Everything" approach by incorporating blades, switches and cabling all within a single chassis. 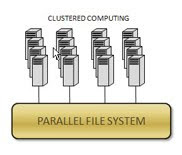 The result is an easy-to-install system with compelling capabilities for scale-out high performance computing. The GPU-based Cray CX1000-G chassis delivers nine double-width, dual-socket Intel Xeon 5600 blades, each incorporating two NVIDIA Tesla GPUs. Cray CX1000-G systems allow users to maximize GPU performance with its unique architecture by eliminating I/O bottlenecks – an industry first. 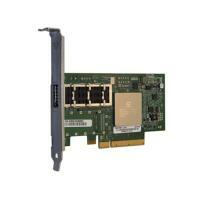 These 7U systems include an integrated 36-port QDR InfiniBand switch and a 24-port Gigabit Ethernet switch. The Cray CX1000-G system is the best solution to your density limitations by offering 18 NVIDIA Tesla GPUs in a 7U form factor. Combining Intel Xeon 5600 performance with NVIDIA Tesla-based acceleration offers true hybrid computing options. The SMP-based Cray CX1000-S server is offered in two configurations, offering up to 128 Intel® Xeon® 7500 series processors and 1 TB of memory in a 6U system. The Cray CX1000-SC compute node is made up of uniquely designed 1.5U "Building Blocks", each housing 32 cores interconnected using Intel QPI. The Cray CX1000-SM management node is a 3U server with four Intel Xeon 7500 series processors (32 cores) and up to 256 GB of memory. Fixstars Corporation announces a book which starts with the basics of parallelization, covers the main concepts, grammar, and setting up a development environment for OpenCL, concluding with source-code walkthroughs of the FFT and Mersenne Twister algorithms written in OpenCL. It is highly recommended for those wishing to get started on programming in OpenCL. Scientific, engineering, and research facilities rely on InfiniBand fabrics because they offer the highest available bandwidth and the lowest available latency. But depending on the design of the InfiniBand HCAs, this advantage can be squandered as the number of compute nodes scales up into the hundreds or thousands. One of the main challenges in efficient scaling is how and where InfiniBand protocol is processed. There are two basic ways to handle protocol processing, and the choice can make a huge difference in overall fabric performance, particularly as a cluster scales. Some vendors rely heavily on adapter-based ('on-load) processing techniques, in which each InfiniBand host channel adapter (HCA) includes an embedded microprocessor that processes the communications protocols. 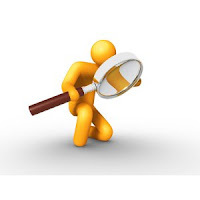 Other vendors primarily use host-based processing, in which the server processes the communications protocols. In the early days of InfiniBand clusters, a typical server may have had just one or two single- or dual-core processors. With the ability to issue one instruction per second at a relatively low clock rate, these servers benefitted from having communications processing offloaded to the host channel adapter. Open-source enterprise software company Red Hat has updated its flagship operating system, Red Hat Enterprise Linux (RHEL), to take full advantage of the latest spoils from the heated microprocessor battle between Advanced Micro Devices and Intel. RHEL version 5.5, released Wednesday, has been reconfigured for Intel's just-released eight-core Nehalem-EX and AMD's almost-as-recently released 12-core "Magny-Cours" Opteron 6100 Series processors. The software also supports the IBM eight-core Power7 processors, released in February. RHEL 5.5 also now supports Single Root I/O Virtualization (SR-IOV), a specification that allows multiple virtual guests to better share PCI hardware resources and I/O devices. While some I/O-intensive applications, such as database servers, can experience as much as a 30 percent reduction in performance when virtualized, these new technologies could reduce that latency to as little as 5 percent. Beyond support for the new round of multicore releases, RHEL 5.5 has a number of other new features as well. It has been updated to extend Active Directory integration, through the use of the latest version of Samba file- and print-sharing software. Also, for the first time, RHEL's version of SystemTap can trace the run-time performance of C++ applications (much like Oracle's DTrace does for Solaris' applications). RHEL 5.5 also aggregates all the bug fixes and maintenance patches since the release of RHEL 5.4, released last September. RHEL 5.5 is available for download for subscribers. 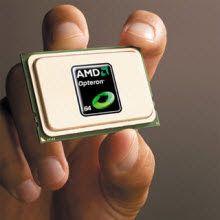 AMD has officially launched its Opteron 6100 series processors, code-named "Magny-Cours." Available in 8-core and 12-core flavors, the new 6100 parts are targeted for 2P and 4P server duty and are being pitched against Intel's latest high-end Xeon silicon: the 6-core Westmere EP processor for 2P servers and the upcoming 8-core Nehalem EX processor for 4P-and-above servers. With the 6100 launch, AMD's battle with Intel for the high-end x86 server market enters a new era. In the two-socket server space, Intel's Westmere EP retains the speed title, clock-frequency-wise. At the same time, Nehalem EX, due to be announced tomorrow, will give Intel exclusive ownership of the 8P-and-above x86 server market. Meanwhile, AMD will use Magny-Cours to try to outmaneuver Intel with better price-performance and performance-per-watt on two-socket and four-socket machines. While Intel can still deliver faster cores on its Westmere EP, thanks in part to its 32nm process technology, AMD, with its 45nm technology, has opted to go for more cores that run proportionally slower. The fastest Westmere EP CPUs top out at 3.33 GHz for the 6-core version and 3.46 GHz for the 4-core version. In contrast, the speediest 12-core and 8-core Magny-Cours come in at 2.3 GHz and 2.4 GHz respectively. The $266 to $1,386 price spread for Magny-Cours will look especially attractive for large-scale 4P setups compared to the more expensive Nehalem EX. (As of Monday, prices on the EX series have not been announced, but are expected to range between $800 to $3,600.) For HPC deployments in particular, where hundreds or thousands of nodes are involved, the up-front cost savings are likely to be significant.